Geoffrey Rush incarne à nouveau le capitaine ivre de vengeance Hector Barbossa, et Kevin R. McNally est une fois de plus le camarade de longue date de Jack, Joshamee Gibbs. Sam Claflin joue un missionnaire loyal, tandis qu'Astrid Berges-Frisbey est transformée en une mystérieuse sirène.
! 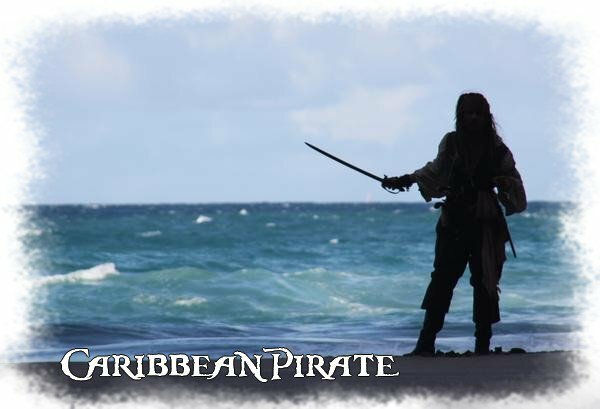 J-294 avant Pirates Des Caraïbes 4 !
! Salut à tous ! Hello, boys and girls...or whatever. My name is Captain Jack Sparrow. I take it some of you have heard of me. As you may well know, there are times--almost constantly, in fact, when I prefer to look at the world through the bottom of a glass...rum...something like this. You may have also heard whisperings and rumors, that Jack Sparrow be recruiting a crew to undertake a voyage to the Fountain of Youth. Not true; 'course not. But even if it were not true, you wouldn't be interested in joining me, would you, eh? No, thought not. I do admit, that there be varied and substantial dangers along the way, including, but not limited to; zombies, cutthroats, mermaids and the vicious and vivacious Penelope Cruz. Which is why I'm not going, no sir. Impossible to find the place anyway. No one knows where it is, plus I'd have to have a bloody map...or a bloody Mary...or both. Which is not a bad idea, in fact--bloody Mary. Bloody Marys all around! ... it's on the Mouse.
! J-299 avant La Fontaine de Jouvence ! 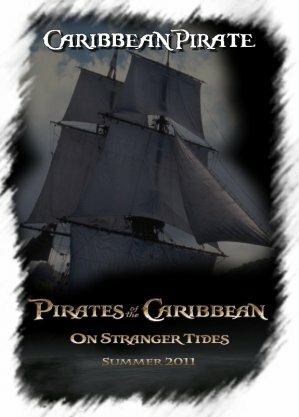 - Pirates Des Caraïbes 4 s'appellera en français Pirates Des Caraïbes : La Fontaine de Jouvence et sortira finalement le 18 mai 2011 en France !